What do you feel is the most difficult part of prayer? Why does verse 5 say to “not be like the hypocrites” when you pray? In what ways were their prayers dishonoring to God? Why do you think Jesus told his disciples to pray behind closed doors in verse 6? How do our prayers differ when we pray in a private place? In verse 7 Jesus says that even pagans pray. How have you seen this played out in our culture today? Have you seen any examples of prayers to God that don’t seem to align with Jesus’ example in this passage? If verse 8 is true, and our Father knows what we need before we ask him, why do you think he still desires to hear our prayers? Why do you think it is important to we address God when we pray? What can we learn about God when we use his many names in our prayers? Some examples: Mighty God, Most High God, Everlasting God, Master, and Father. What examples of submission to and dependence do you see in verses 10-12? Are there ways that we can model this in our prayers? As you close your time together, read Psalm 19 aloud as a group. Read it as a prayer lifted up to God. 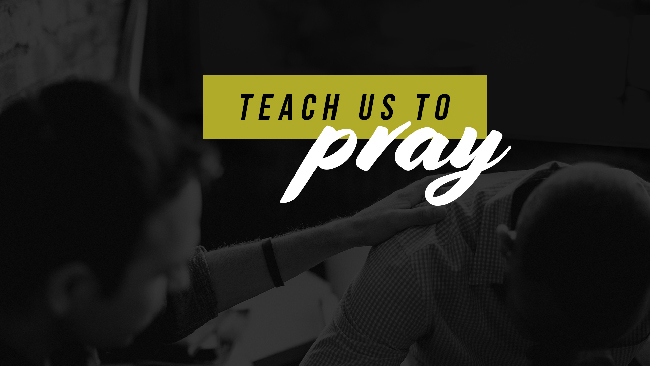 Every week during this series we will share a resource related to prayer. This book has one purpose: to fuel your passion for spending time with God. Divided into 52 short chapters, it can serve as a companion to your devotional life.